Discussion in 'Patch Notes' started by Shane, Oct 9, 2018. Fixed issue with artLegacyMUL.zip re-downloading over/over. Let me know if this continues (should be fixed). Renamed "a TinySpider" to "a tiny spider"
The house sign click delay will now be enforced. Fix your macros. RDA exit portals no longer teleport you to random places. They instead move you to an area nearby the entrance. For example: A level 7 meta trapped in a house will be autostabled instead of going wild, it will cost 700k to unstable it, the owner of the trap house will receive 690k of that. The pumpkin carving event has begun! Halloween monsters can drop halloween pumpkins. You have 15 minutes to carve a pumpkin or it rots. Each time you carve one it can turn into a different jack o' lantern that can be lit and unlit. The carving knife will be available on the gold sink vendor shortly. It will be a one use knife. The monster contract gump will now reopen after adding a corpse to a contract. This new RDA will now be in rotation with the current Random Dungeon Adventures. Introducing the new meta dragon level 8. This new level will change the looks of your level 7 to the image seen here. 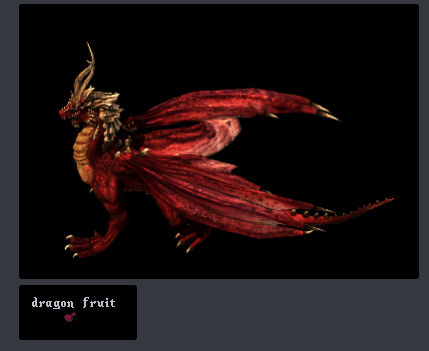 Killing higher end creatures with your level 7 meta dragon will have a chance to drop dragon fruit. Feed enough of these dragon fruits to your pet and it will grow into a larger, much more beautiful dragon! With this new evolution you will be able to apply new upcoming relics! This level will not make your dragon stronger, it is cosmetic. However- You will only be able to apply the new up-coming meta dragon relics once you've reached this stage. To achieve it you must kill strong monsters (> 500 hps) with a level 7 meta dragon that has been rolled over at least twice (119 required taming on your meta stone). If those criteria are met there is a chance of a "dragon fruit" to be found on the monster's corpse. Feed those to the pet to progress toward the new body type. Once the new body is evolved, the fruits will no longer be dropped. Primal Scream is a berserker relic that when activated disables all armor for monsters nearby for a period of 10 seconds. Shield Bash is a defensive talisman relic that does a mighty bash to your enemy. The nox relic for dragons should not poison town npcs anymore. It also received a boost to the number of creatures it will poison each time.